Valentine’s Day is right around the corner – and this could either be a very good or a very bad thing in your mind. 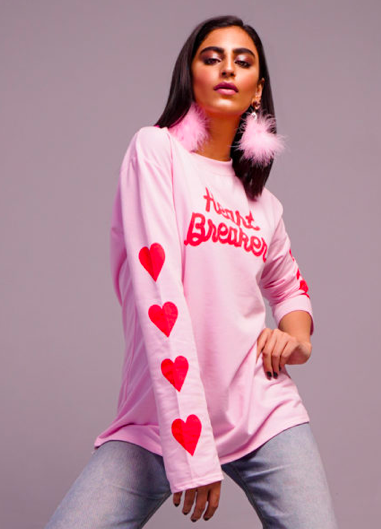 But regardless of how you feel about Valentine’s Day, it’s the perfect opportunity to dress up in your favourite red and pink pieces (as cheesy as it may seem)! Whether you’re looking for a date night outfit, or something to stay in with the girls, we’ve found something for everyone! 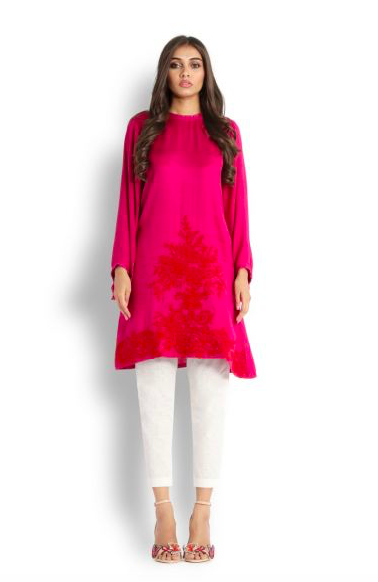 If you don’t want to overdo the hearts and red on Valentine’s day, this super pretty pink number from Farah Talib Aziz is perfect for a day time event! 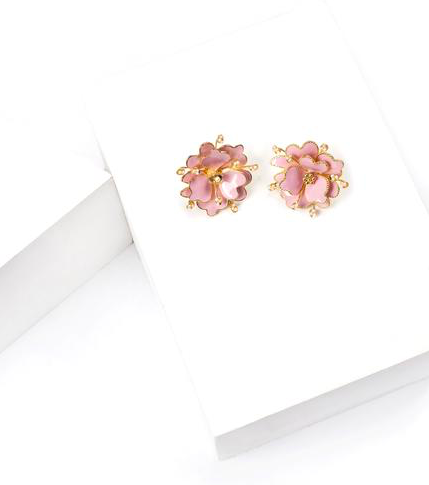 Pair with these earrings from Suffuse to tie the whole look together. With the warming up a bit, a beach date is a perfect getaway for you and your beau! 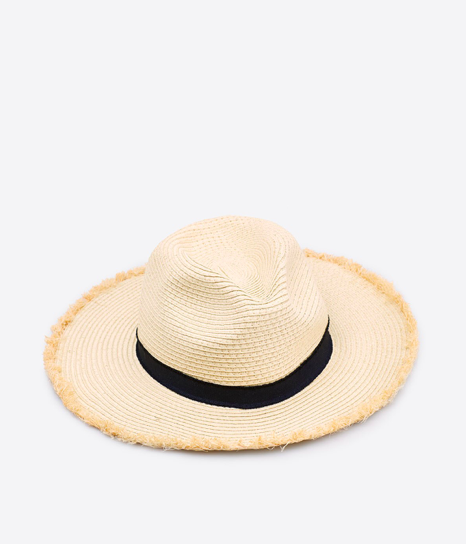 Make a statement with this elegant belted jumpsuit from Mango and wide brim hate from Woman’s Secret! If you and your S/O prefer to keep it low key on Valentine’s Day, a movie date is a classic. 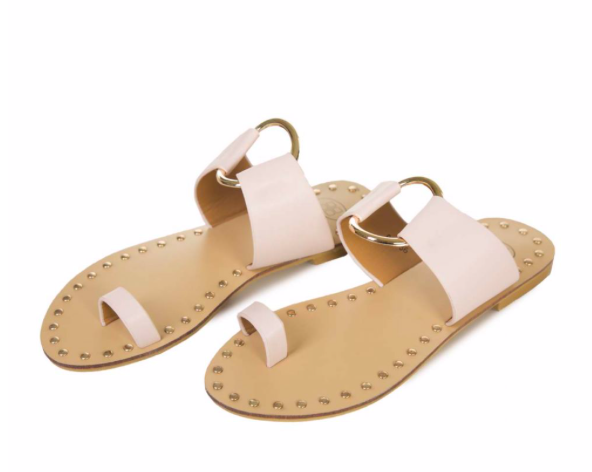 While most of us tend to go to the movies in sweats, there’s no reason not to make for of an effort this time! 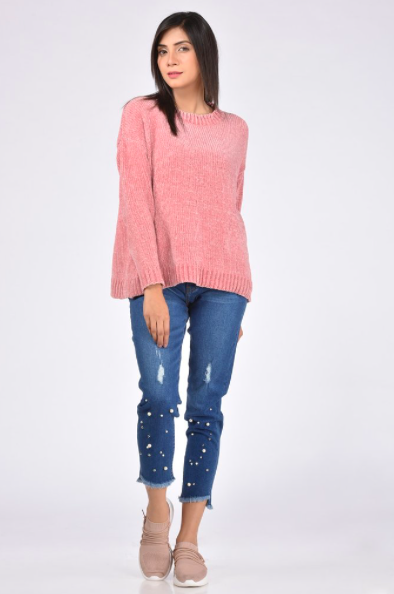 Add a pink sweater like this one from Outfitters to the mix, and cute sandals from Gul Ahmed for a more festive look. Who say’s you need to be in a relationship to celebrate Valentine’s Day? Get all your girls together for a fun sleepover and dress up in cute pjs! 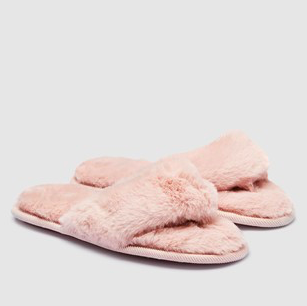 We love this pair from Next, with matching furry slippers. P.S: They make for great Instagram pictures! Unfortunately Valentine’s Day doesn’t fall on a weekend this year, and for those of us who want to celebrate during the work day, a laid back lunch date is perfect! 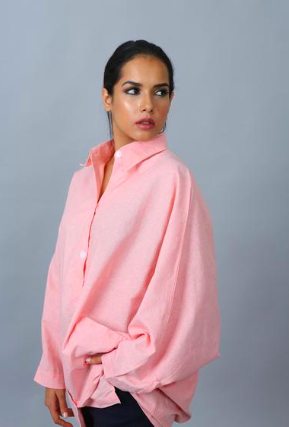 Wear this cool oversized button down from The Sassy Store, which is perfect for the workplace too! 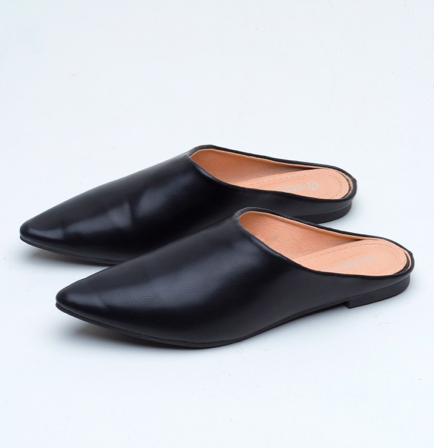 Pair with these cool black mules from Beechtree for an elevated day time look. Sometimes the best kind of dates are those that involve staying at home with Netflix and Chinese takeout. 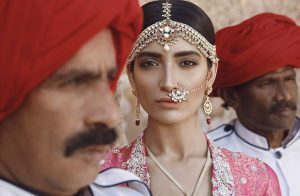 But there’s no reason not to dress for the occasion, even if you’re at home! 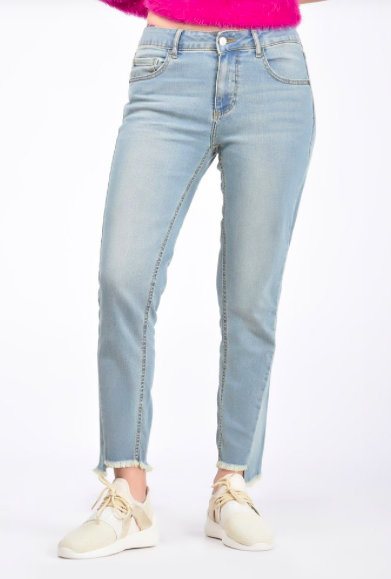 Pair these casual jeans from Outfitters with a festive t-shirt from 9Lines!